As much as Boys & Girls was raw and magical, Sound & Color is sophisticated, rich, and magical…just in another way. 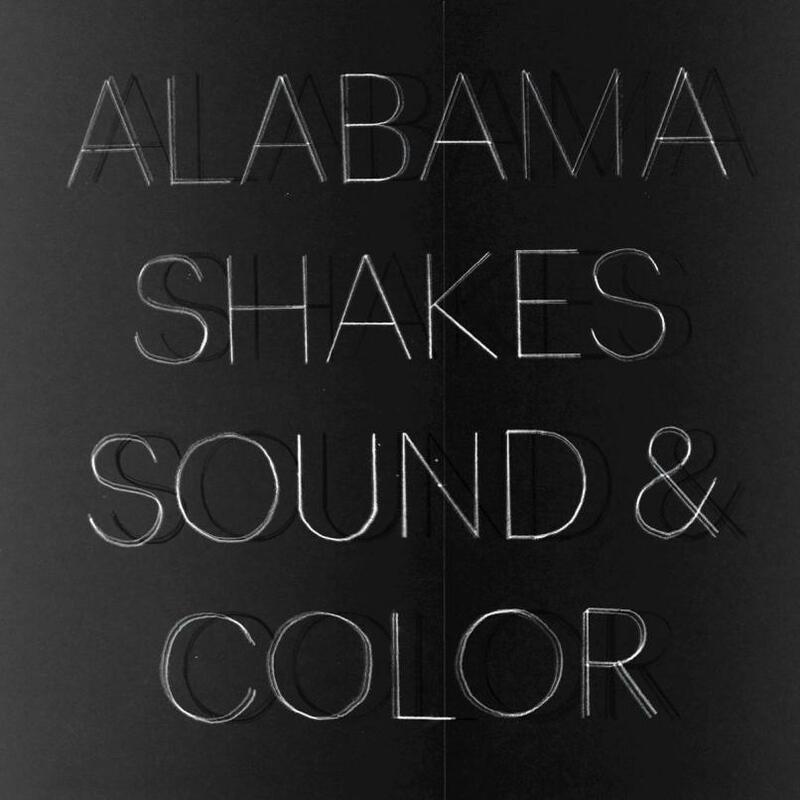 The second “Heavy Chevy” hit my ears three years ago, my mind exploded and from that point on I was aboard the Alabama Shakes train (read Boys & Girls review here). Besides the groovy 60s-esque bluesy tracks, Brittany Howard tore my soul out. Tissues in hand I felt her heartbreak as if it were my own and suffered her struggles through each guitar solo or strained growl. There are very few artists who have struck me with such sincerity and emotion as Miss Howard has, which leaves me believing there’s something quite superhuman about her and the music that is created around her. Skip ahead three years and their sophomore album is released onto the world with “Don’t Wanna Fight” (immediate goosebumps appear the second Howard’s soulful screech surrounds you) and “Gimme All Your Love,” (the smarter of the audience members in this video don’t even know what to do with themselves), as the singles escalating the anticipation. Sound & Color never leaves out Howard’s passion and you can instantly feel chills on “Miss You.” However, with the more stylized approach, more seamlessly professional sound, a little less grit and a little more jazz this album gives you a different feeling. You no longer want to be laying on the grass behind an isolated home in Georgia circa 1965, instead with these new tunes you can picture driving in the night sky over rolling hills towards a city…sometimes with hope in your eyes, other times with tears. This complexity has intruded over the sound of “firsts” and jam band garage’s scratchy exterior. Yet, I cannot discourage the enjoyment I receive from listening to the crisp, rolling electric guitar melodies and Howard stretching her vocals so they’re not just raw but also a pretty falsetto. Many songs have background vocals (“Dunes,” “Future People”) that allow some vocal diversity so that Howard can do her thing while more scripted choruses and bridges are spurred along. It’s a lovely subtle addition creating wonderful dynamics amongst the typical instrumental ones we’re used to. As the album progresses, there are little treasures along the way. For instance, “The Greatest” is packed like a little present to be found unexpectedly resulting in a giant grin at the high speed rockabilly, Beatle’esque chorus, and extended jam-band outro. With Howard’s final laugh, I take it as a secret she’s delivered for me alone, “I know you loved ‘Heavy Chevy,’ but let’s throw this one on there for you.” Thanks, Brittany… much love. Following is “Shoegaze” (which unsurprisingly has no musical similarities with the genre), that has all the tantalizing features of a brilliant song with a magnificent chorus exploding in powerhouse intensity. Closing out is “Over My Head,” gripping you, yearning for what’s next until the bass drum transitions you into the choruses at a slow speed among the heightened vocals. My initial reaction was that this album would be easier for the general public to accept, maybe the pop’ier instrumentation or production value. This feeling was proven correct with their album appearing number one on Billboard. Yet despite the sound quality and experience, nothing seems to deter away from those fantastic guitar melodies and distortions, the passion transformed into blissful imperfections of vocals, and the essence of the Alabama Shakes. Pick up the album here and be sure to check them out at an upcoming festival (I’ll be seeing them at Boston Calling this September!). If you’re doomed to be a non-festival attendee, don’t miss them on their national fall tour beginning in August. Speaking of festivals, if you want to know more about The Shakes and their summer, read this beautifully written interview by the Guardian’s Tom Lamont.